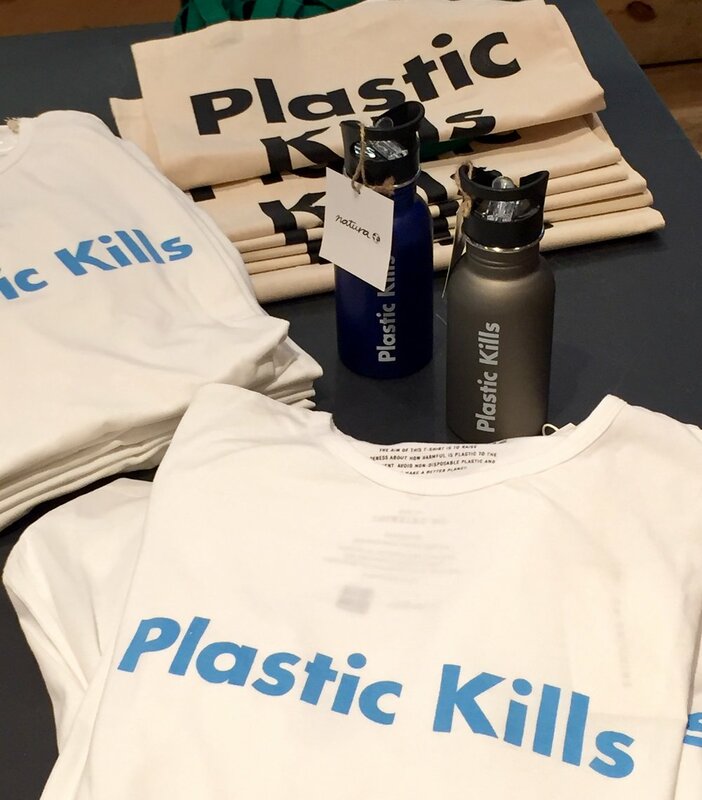 Clothing designer Natura launched Plastic Kills in collaboration with Plastic Pollution Coalition in Barcelona, Spain, last week. The campaign raises awareness about the harmful consumption of single-use plastic and educates consumers about reusable alternatives. As part of the campaign, Natura will feature the Plastic Kills message on their paper bags at point of sale to customers. 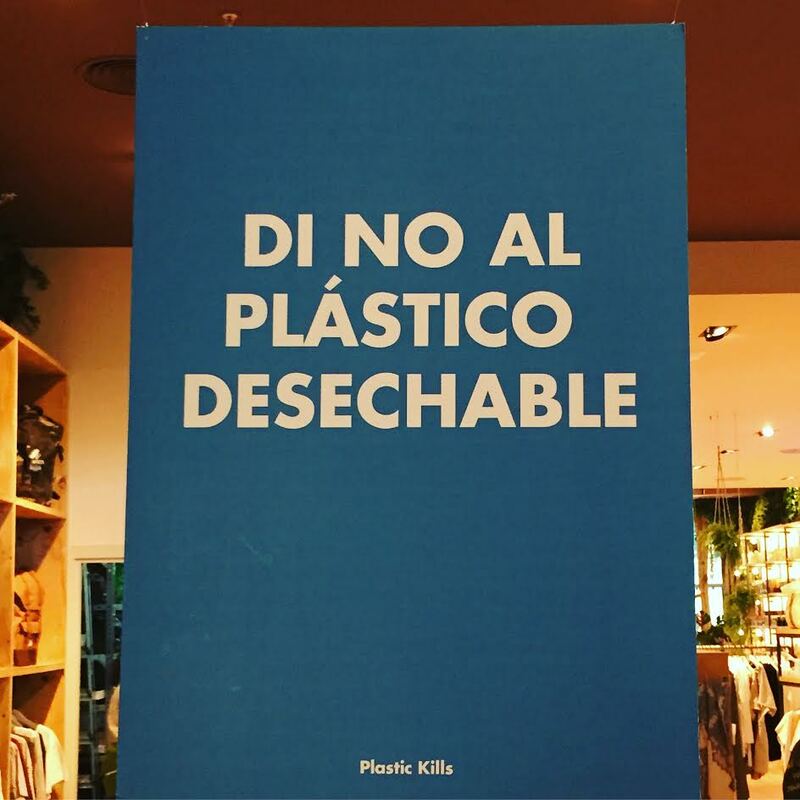 Plastic Kills is the newest visual paper bag campaign and joins a long tradition of campaigns created by Natura over the last 20 years. Natura has also made available reusable cotton bags, stainless steel bottles, and T-shirts in stores along with signage and pamphlets that explain the facts about plastic pollution and suggest alternatives. For example, "over 100,000 marine mammals and 1 million seabirds die from plastic pollution every year." And "more than 260,000 tons of microplastics are already in our oceans, poisoning our food chain." The Plastic Kills website highlights the problem and presents solutions. "A few months ago, Dianna Cohen, co-founder and CEO of Plastic Pollution Coalition came to Natura’s offices and gave us a wonderful lesson on the importance of reducing plastic consumption," writes company representatives. "Since then, at Natura we have set to work to fulfill the commitment to stop using single-use plastic." "We know it will be a long and expensive process, but little by little, and with the help of PPC, we will achieve it. As a first step, we have created Plastic Kills... With it we want you to become aware, to understand the real problem of plastic pollution, and to have solutions to stop using it in your own life. " Alvaro Arpa, an artist and PPC ambassador, commends the campaign. "The Plastic Kills campaign is one action against plastic pollution and the humungous apocalyptical mess that is taking place on the planet. It's David against 5,000 Goliaths... There's great need for awareness." Check out the interactive Plastic Kills website.